What Does The Best Bond Cleaning In Cleveland Cover? Finding and selecting reliable house cleaning in Cleveland is not easy. The most common questions we get asked by people like yourself have been collated below to assist you in making a smart decision. 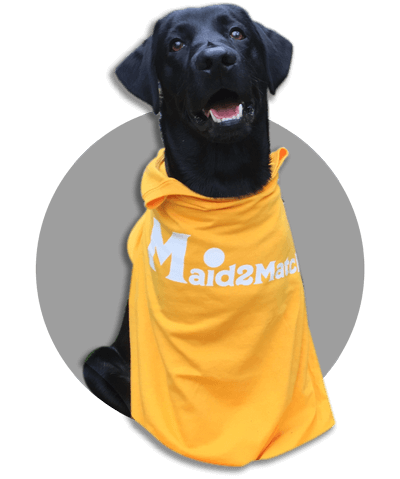 WHY ARE MAID2MATCH CLEVELAND’S BEST AT VACATE CLEANING? The truth is great bond cleaners possess a different skill set than regular house cleaners and therefore requires specific experience, dedication, and a first-class cleaning checklist. At Maid2Match, we personally vet all our cleaners, after having them complete a three-part application form. We provide extensive support and have crafted the most effective bond cleaning checklist you’ll find. Contact Maid2Match today for your end of lease cleaning in Brisbane. On the western banks of Moreton Bay, almost 25 kilometres south-east of Brisbane CBD, Cleveland is mostly a residential suburb, although it’s mottled with commercial and industrial areas too. There are many wonderful sights here, as well as an interesting and rich history that goes back to the Koobenpul clan of the Quandamooka. One of its most imposing sites is the Cleveland Point Light, a lighthouse that overlooks Moreton Bay and Raby Bay. Originally a wooden hexagonal tower built between 1864 and 1865, Cleveland Point Light guards the north-eastern peak of Cleveland Point. If you enjoy nature walks, the G.J. Walter Park is a wonderful place to go. It became a reserve at the end of the 1880s and it provides the perfect place for long walks, cozy picnics or joyful swims. Besides, it’s a heritage site. You can also visit Toondah Harbour, where the Stradbroke Island Ferry Terminal is, and enjoy a ferry ride. Toondah Harbour has a great landscape with coastal wetlands, mangroves, sandbanks and mudflats. You can see plenty of wildlife here, like the eastern curlew, turtles and dugongs. Cleveland has a bustling cultural life too. You can visit the Redland Art Gallery, the Redland Museum, the Performing Arts Centre or the Cleveland Library.